ISABEL MEYERS interviews KIRUN KAPUR Kirun Kapur is a poet, teacher, poetry editor at The Drum, and author of the collection Visiting Indira Gandhi’s Palmist. Kapur’s debut volume, which grapples with themes of borders, religion, and feminism, feels more relevant by the day since its release in 2015. Last fall, Kapur taught at Amherst College. 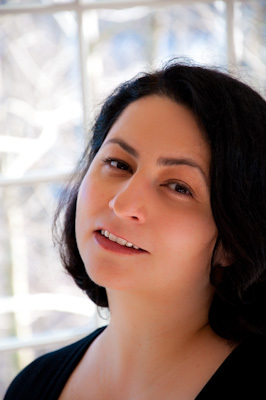 She recently spoke to former student Isabel Meyers about Visiting Indira Gandhi’s Palmist; the intersection of personal and political history; girlhood; family as a sense of place; and trusting the poem’s voice. Isabel Meyers (IM): In your book Visiting Indira Gandhi’s Palmist, you frequently focus on family dynamics, whether they are your own or that of the “first family”—Adam, Eve, Abel, and Cain. Why did you focus on such a personal subject matter? Kirun Kapur (KK): When I first started working on this book I had two goals in mind—I didn’t want to write about myself and I didn’t want to write about my family. As you can see, I failed rather spectacularly! However, I did know, right from the beginning, that I was interested in the idea of families. I was fascinated by the way family stories are the bedrock of all our great books and deepest beliefs—from Greek myths to Hindu epic poems to the Bible. The first book of the Bible, of course, is Genesis—one long family drama. The Mahabharat is comprised of thousands of verses about a conflict between brothers and cousins. For me, family isn’t a purely personal topic. It’s epic, vast and mythical. This sense is compounded by my family’s circumstances. Part of Visiting Indira Gandhi’s Palmist is inspired by Partition, the 1947 division of British India into the modern nations of India and Pakistan. Partition led to the largest human migration in modern history. Close to twenty million people lost their homes and livelihoods; between one and two million lost their lives. So, this book is as much about collective experiences and collective silences as it is about anything personal. My father’s immediate family lived through Partition, but in the book, our personal narrative is just serving as a skinny little frame around an event so immense and difficult it’s often impossible for people who survived it to speak of it. IM: As a teacher, you emphasize the importance of being able to shift from hyperspecific language and anecdotes to broad, universal truths. 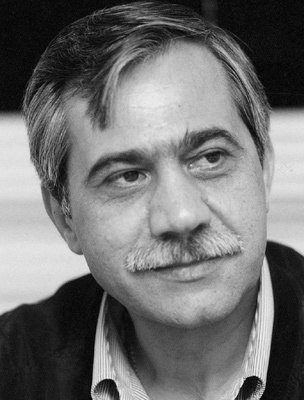 By describing your family members’ personal relationship to historical events such as the creation of Pakistan, you’ve done something similar throughout many of these poems. How did you navigate placing your family as part of larger narrative or, in a sense, making what is personal political? KK: I’m often asked questions about the relationship between the historical/political and the personal/autobiographical and no matter how hard I try, I always find these questions extremely difficult to answer. Maybe that’s because beneath this line of thinking lurk broader questions about truth (Did this really happen? Did it happen exactly this way? Did it happen to you?) and the relationship between writing and truth is not a straightforward one. Let me approach it this way: The story of Partition was something I wanted to address in this book. It was a story that was always present in my house, though it was rarely talked about out loud. In part, I wanted these poems to be the voice I sensed but couldn’t hear. These poems are constructed out of those silences. They are made of the stories I remember (and just as often out of stories I’ve misremembered), books I’ve read and books I’ve forgotten I read, things I dreamed or wished or hoped. In this sense, the poems about “my” family are no different than the poems about Cain and Abel. Those too, are based on a story I half remember, things I’ve read and dreamed. So, you could say that the Cain poems are as autobiographical as the partition poems or that the partition poems are as un-real as those about Biblical brothers. The more I worked on the book, the more it became clear to me that the poems were not about the historical or political facts, but rather about how events get remembered, lost, imperfectly retold and become part of the way we preserve and reinvent our cultures and ourselves. IM: Besides being a poet and a poetry teacher, you were also once a journalist for the magazine Manushi and have done quite a bit of travelling. How does your location influence your poetry, and the stylistic choices you make in the writing process? KK: When I began arranging the poems in Visiting Indira Gandhi’s Palmist, I showed one of the first manuscript drafts to a poet I trust and admire. He said, “I love the poems individually, but when I read them all together they give me whiplash.” He meant that the book was constantly shifting—without warning—across the world, across time. It had no single sense of place and he found that jarring. One minute the reader is in America, the next in India or Pakistan, then back again; it’s 1947, then the present day, then in some mythical time. In retrospect, it makes perfect sense that he would notice that motion and I would not. Like many people who grow up between countries, languages and cultures, I’ve spent my entire life crossing back forth. It’s so instinctive I hardly notice it. “Whiplash” has been a way of life for me and rather than jarring, I find that fluid sense of place to be a marvelous source of energy and inspiration. As I worked on the book, I realized that I wanted to preserve the qualities of motion and plurality. However, I also understood the criticism. I wanted the “whiplash” to be fruitful for the reader, to add to the poems and to the book as a whole. Some of the most painstaking work I did on the manuscript was figuring out how to move the reader meaningfully through history, culture and geography. So, I think it’s fair to say that my prodigal sense of place has been at the center of my poems, even when I wasn’t entirely aware of it. IM: While your poetic forms range from prose poetry to free verse and persona poetry, there is a narrative quality to almost all your work. How do you decide to frame a particular story? How does your subject matter influence a poem’s shape on the page? KK: I love poems that tell stories, but I love poems that refuse (or try to refuse) to tell stories, too. Fragmentation, association, pure sound, silence—I’m compelled by all of these methods of organizing a poem. In fact, I use all of these methods, even inside a poem that tells a story. 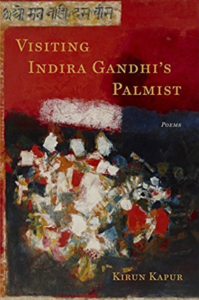 In the case of Visiting Indira Gandhi’s Palmist, a number of the poems are actually lyrics, several are organized around silences, but readers tend to bring the story of the surrounding poems to bear on them, giving them a narrative sense. One of the things I learned as I worked on the book is that I don’t want to speak in only one way. Lyric poems often feel mysterious and private—like a song or a prayer. Narratives allow other voices to enter the poem and can contain that ancient impulse to ensure the survival of the tribe by preserving its stories. Both modes of writing feel essential to me, especially when they talk to each other. Occasionally, I have a sense of how a poem might look on the page before I begin writing it, but most of the time it’s a process of discovery. I let the poem determine its own shape. I follow the sounds, the music, the places where the breath is (my favorite place in a poem), and, eventually, the syntax of the line—these are the elements that suggest the shape. The framing, too is a process of discovery. Who is speaking in this poem? The answer changes many times as the poem develops and shifts, often drastically, across drafts. In the end, though, some voice has spoken. For me, this implies a narrative, no matter how lyrical, fragmented or gloriously opaque the poem may be: I/you/we/he/she/it—some consciousness exists, draws breath, makes sounds, makes words and connects—across vast gulfs of time and space—with another. That’s the urgent, astonishing story of every poem. IM: A lot of the poems in your collection such as “Light” and “The Mango Tree in the Neighbor’s Yard” grapple with the notion of “good girls,” and the roles they are expected to play within the family and society. How do you think storytelling, especially through these poems, has allowed you to explore and push up against these norms? 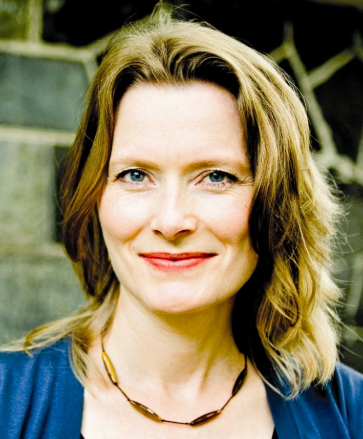 KK: I grew up in an environment where being female meant you were both policed and imperiled. One of the surest ways to be a “good girl” was to be a silent girl. This has a particularly painful resonance in the context of Partition, where women suffered disproportionate amounts of terror and violence. It’s estimated that around 100,000 women were abducted on both sides of the new border—they were raped, murdered and, in some cases, forced into marriages with their captors. It’s one of the most scarring and least talked about aspects of Partition. So, to speak in these poems as a girl, to speak about girls—their circumstances, their stories—pushes back against that tremendous pressure not just to be good and silent, but to be complicit, to let your voice and body be swallowed by the acts of families and nations. As a writer, girlhood is territory that’s rich in emotion, full of contradiction, with dangerously high stakes. That’s exactly the kind of territory I want for a poem. IM: You write a lot about the weight of history, and the importance of documenting violence that has occurred in the past. What words of wisdom would you give to young poets trying to memorialize their place in history right now, in this current political climate? KK: I think I always knew, at some level, that I wanted to approach the topic of partition, but it took me a long time to work up the nerve. It’s hard to address a large historical event in a slim little poem. It’s harder still to render any kind of suffering on the page. For a long time, I wrote poems about other topics. I wrote around it and I practiced until I was ready. In the end though, I felt compelled by certain voices and silences—I wanted to make a place for them. I wanted them to survive. The need to do that eventually overcame my doubts and reticence. To young poets, I’d say follow your instincts—especially the ones that keep cropping up, no matter how you try to ignore them. Your artistic compulsions will take you in the right direction. I’d say, when you’re plagued with doubt about your poems, put that doubt right on the page, right in the poem. I’d say, leave space for silence. And lastly, I’d say, read poets from other countries. They’ll provide brilliant perspective on what’s happening right here at home. Kirun Kapur’s debut poetry collection Visiting Indira Gandhi’s Palmist won the Antivenom Poetry Award and was published by Elixir Press in 2015. Isabel Meyers is an editorial assistant at The Common. 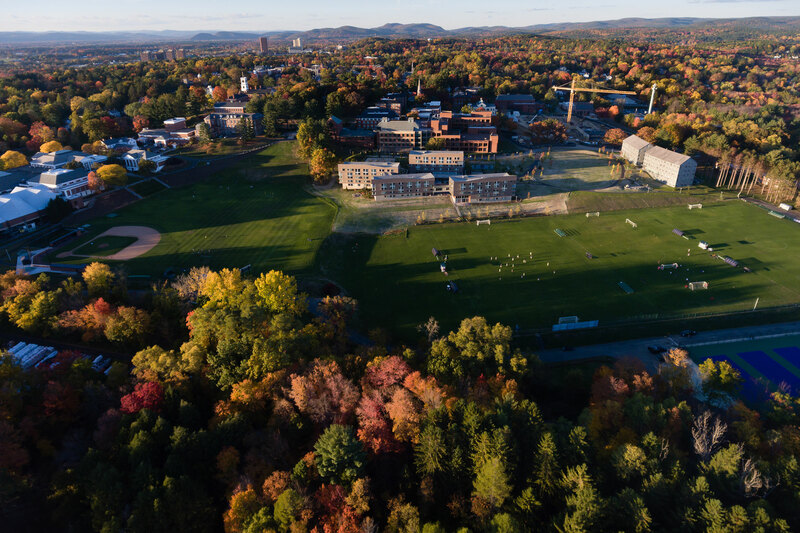 For Amherst College's fourth annual LitFest, The Common put together a Literary Landmarks tour of Amherst College, highlighting locations on campus with special connections to literary figures affiliated with the college, from Robert Frost to Lauren Groff. Building on that effort, we've compiled a list of pieces published in The Common that were written either by or about Amherst professors, alums, and even current students. I love the feeling of being delivered out of my self and into another world. I balk when I start to feel like anything is about myself, or someone like me—and I’m terrible at writing about people I know, so I’ve given that up, much to the joy of my family and friends. Whenever I feel like I’m developing a path of least resistance I try to resist it. The places I’ve lived in and the people I’ve lived with—in all their different characteristics, their professions that became part of who they are and their familiar or odd ways of life—are all carved in my memory forever. It is a rich repertoire, a fertile panorama inviting me to write. We often write our own past. Stay in touch with The Common! Get our free monthly newsletter.